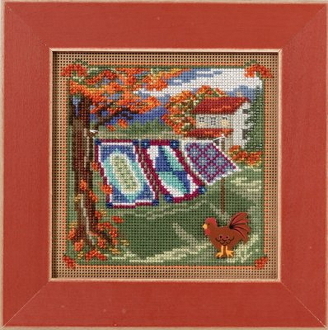 A lovely counted cross stitch kit depicting a row of Quilts hanging on a clothes line with a rooster. Adorn with the enclosed Mill Hill ceramic Rooster button. Design size: 5.25" x 5.25" (13.3 cm x 13.3 cm).